Germany could enter recession, Apple could secure funding for Tesla and Donald Trump could sack Federal Reserve chair Jerome Powel, speculates fintech specialist Saxo Bank in this year’s round of its ‘Outrageous Predictions’. 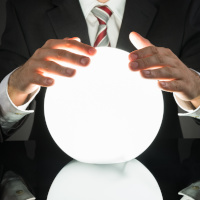 Released annually, the predictions focus on a series of unlikely but underappreciated events which, if they were to occur, could send shockwaves across financial markets. On top of the list is the estimate that the EU will announce a debt jubilee with an unsustainable level of public debt, a populist revolt and rising interest rates from European central bank tapering/lower liquidity. Saxo Bank has also conjectured that Apple will secure funding for Tesla at $520 a share, after realising the next frontier of the business is in automobiles as cars become more digitally connected. The third prediction on the list is Trump sacking Powel after he plays a role in approving a rate hike, with Minnesota federal president Neel Kashkari replacing him instead. “We have been publishing Outrageous Predictions for more than a decade and think this year’s list is both fascinating and shocking while encouraging investors to think outside the consensus box,” Steen Jakobsen, chief economist, Saxo Bank said. “A world running on empty will have to wake up and start creating reforms, not because it wants to but because it has to. The signs are everywhere,” he said. Other predictions include Jeremy Corbyn becoming prime minister of England and sending GBP/USD to parity, a corporate credit punch in the US pushing Netflix into General Electric’s vortex, Germany entering a recession, X-Class solar flare creating chaos and inflicting $2 trillion of damage. Saxo Bank also added a global transportation tax being enacted as climate panic spreads and the International Monetary Fund and Wold Bank intending to stop measuring GDP, instead focusing on productivity. Mr Jakobsen noted the credit cycle is already showing signs of strain in late 2018, and will rip through developed markets next year as central banks are sent back to the drawing board. He said the banks’ money printing efforts for the last decade have only dug a deeper debt hole. “If some of these outrageous predictions see the light of day, we might finally see a healthy shift toward a less leveraged society, with less focus on short-term gains and growth, and a new focus on productivity and new economic revolution back toward globalisation with a fairer playing field after the immediate moment of crisis,” he said. “On the negative side, we could see considerable worsening of central bank independence, a credit crunch, and big losses in the asset where everyone is too long: real estate.